Former Supreme Court Chief Yang Sung-tae, currently in detention, has hired another lawyer to prepare for what will be a tough legal battle over allegations that he politically influenced trials to lobby the previous government, sources said Sunday. Yang recently brought in judge-turned-lawyer Lee Sang-won in addition to his two legal representatives, as he appears likely to face an unprecedented corruption probe as the former head of the country’s judiciary. Yang stands accused of using or seeking to use trials as political leverage to lobby the office of then-President Park Geun-hye to get her approval for the establishment of a separate court of appeals, his pet project. Yang headed the top court from 2011-2017. 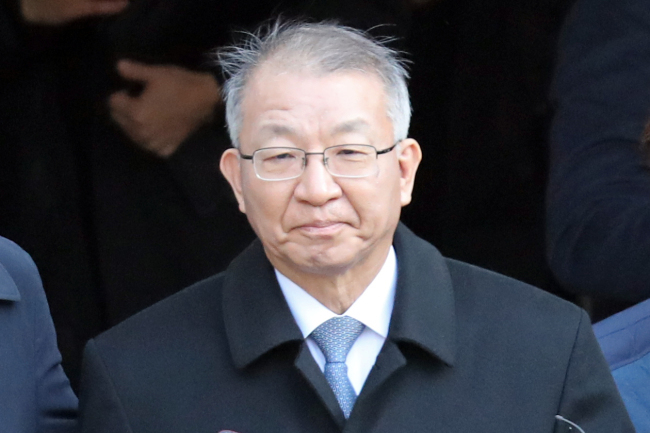 He is also accused of having orchestrated a delay in the deliberation of a damages suit filed by Korean victims of Japan’s wartime forced labor to curry favor the former president, who was seeking amicable ties with Tokyo.